Start by seasoning the fish with black pepper and herbs of your choice (I used thyme). Then stuff with your choice of fruit slices, onions or whatever you like. The stuffing just lends to flavor, but isn’t necessary. 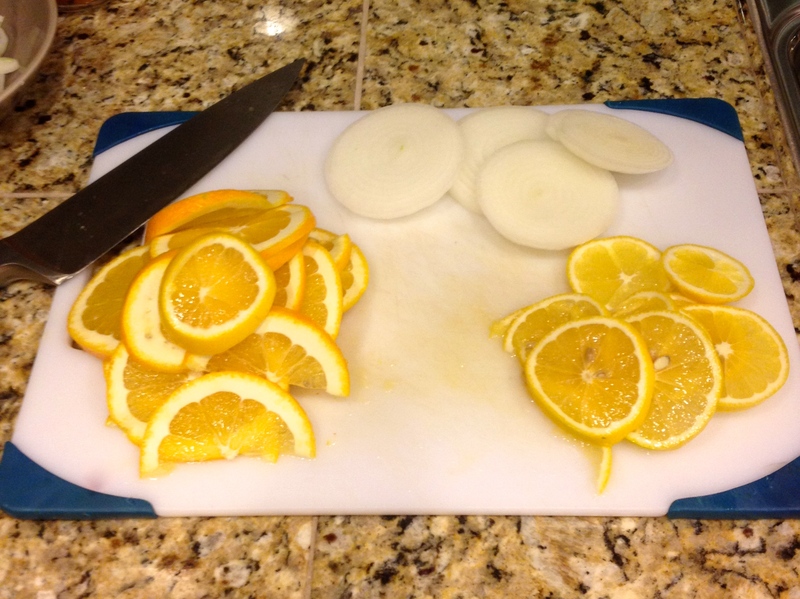 I used orange slices, meyer lemon slices, onions, black pepper, and thyme. 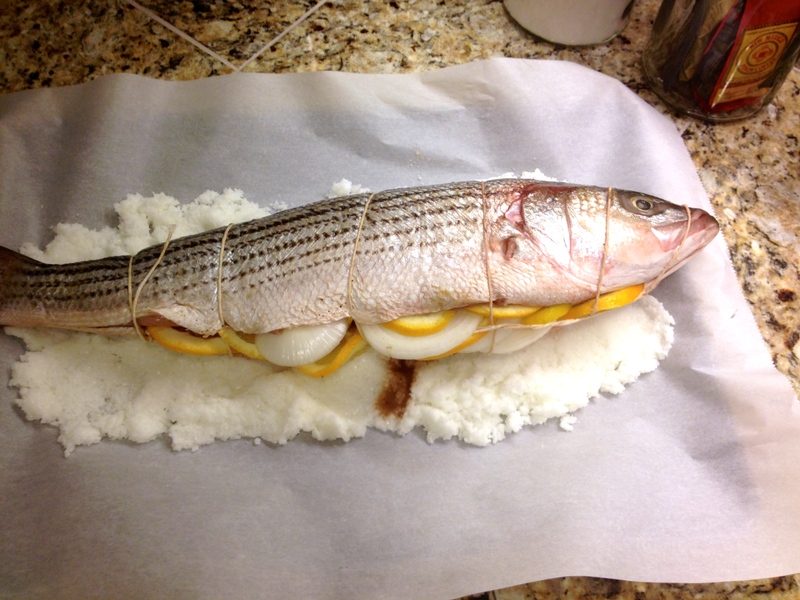 After the fish is stuffed and seasoned, set aside. Pre-heat the oven to 400ºF. In a large mixing bowl, add 8 egg whites (reserve the yolks for another use and if making the hollandaise, you’ll need two yolks.) Pour in 5 cups Kosher salt with the egg whites, ( I used a box of Morton’s coarse Kosher salt from the grocery store). Mix just enough to allow the salt to become wet. Line a baking sheet with a piece of parchment paper or aluminum foil, and spread out 1-1/2 cups of wet salt to make a base for the fish. 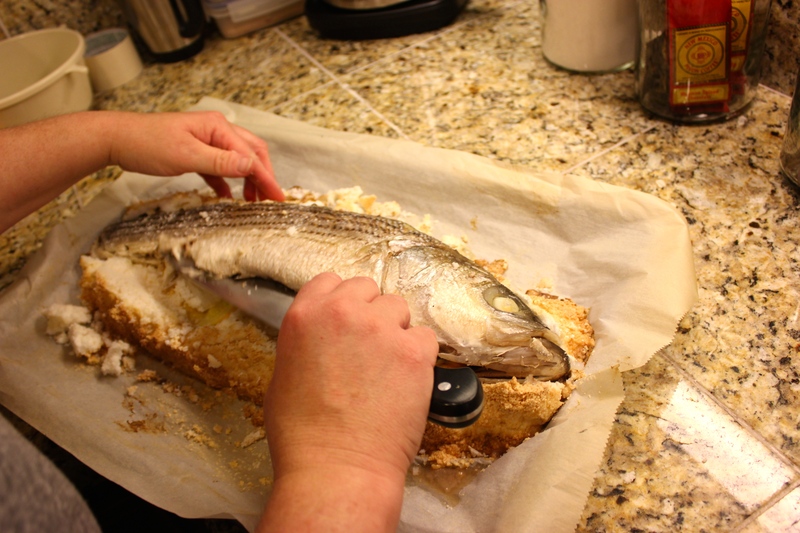 Place the fish on top (the fish may need trimmed from the tail to fit the sheet). Using your hands, pat the remaining salt on top of and around the fish. 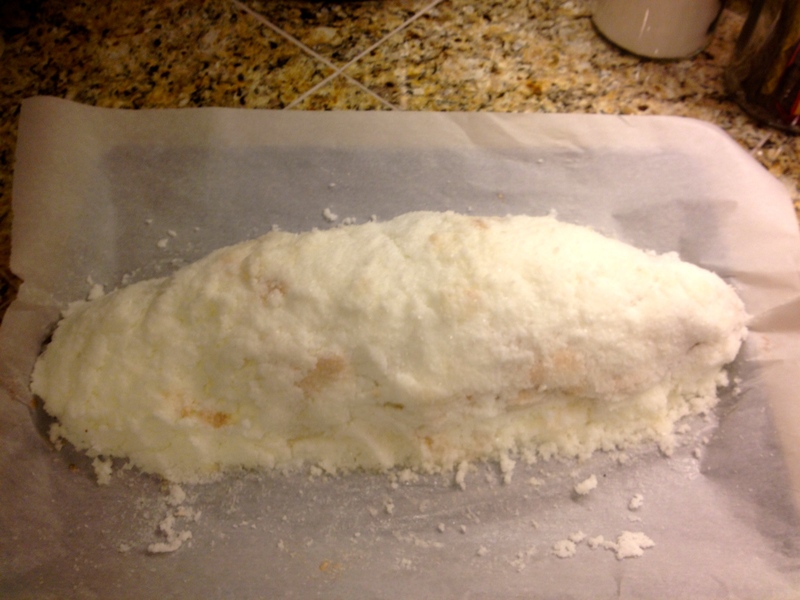 Place the salt crusted fish in the oven for about 40 minutes. Remove the fish and let rest for about 5 minutes. 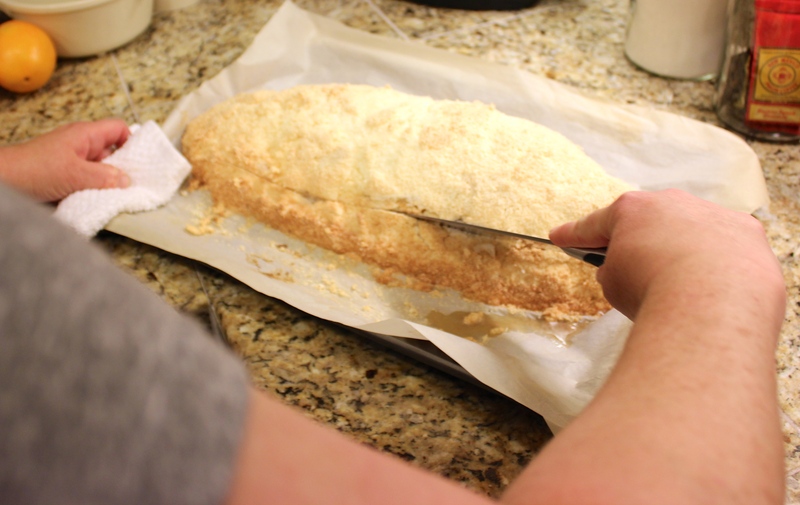 Carefully slice into the crust with a large chef’s knife, being careful not to cut into the fish. 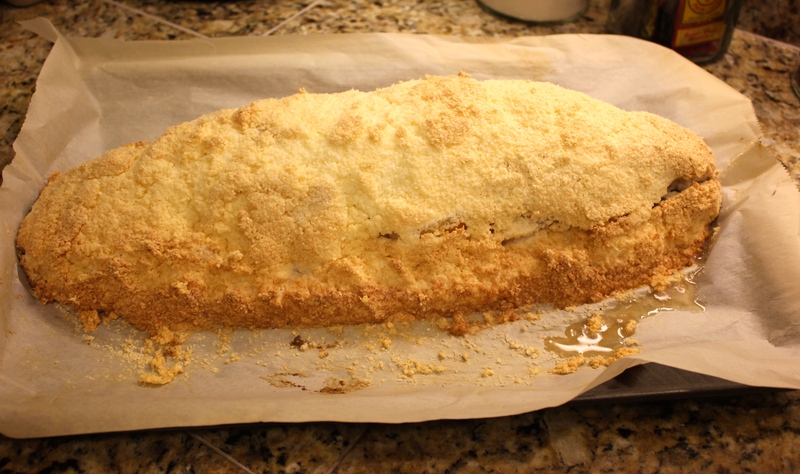 Remove the top of the salt crust and discard (careful, it will be hot!). Slice through the back of the fish and fold open and remove the spine so most of the bones will come out in one piece. Serve with side dishes and hollandaise if you like. Herbs of your choice such as thyme, tarragon, lemon thyme, bay leaf etc. Season with pepper and herbs of your choice (no salt). Stuff the cavity with orange, lemon and onion slices. 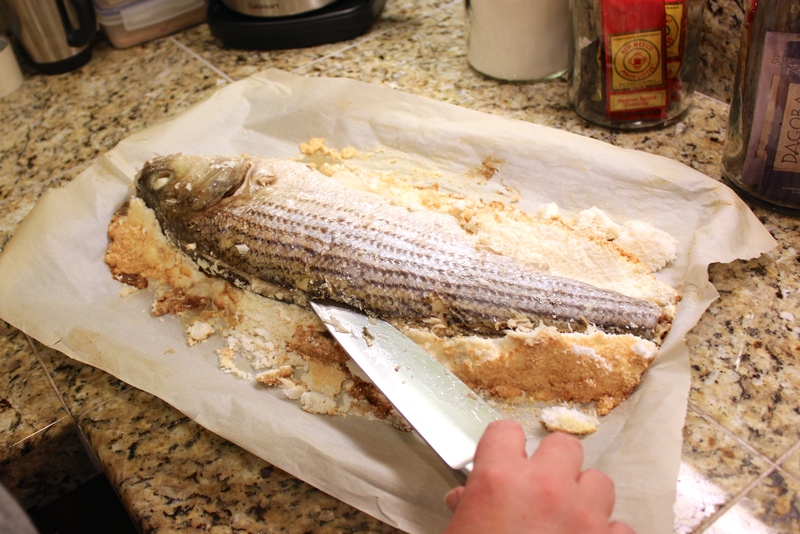 Set aside the fish, and pre-heat the oven to 400ºF. In a large mixing bowl, add 8 egg whites (reserve the yolks for another use and if making the hollandaise, you’ll need two yolks.) 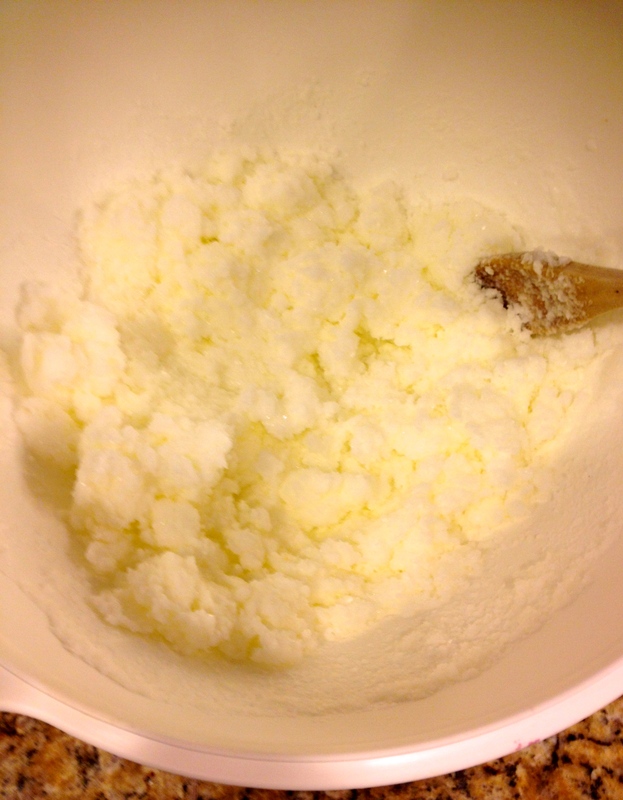 Pour in 5 cups Kosher salt with the egg whites, ( I used a box of Morton’s coarse Kosher salt from the grocery store). Mix just enough to allow the salt to become wet. Line a baking sheet with a piece of parchment paper or aluminum foil, and spread out 1-1/2 cups of wet salt to make a base for the fish. Place the fish on top and using your hands, pat the remaining salt on top and around the sides. 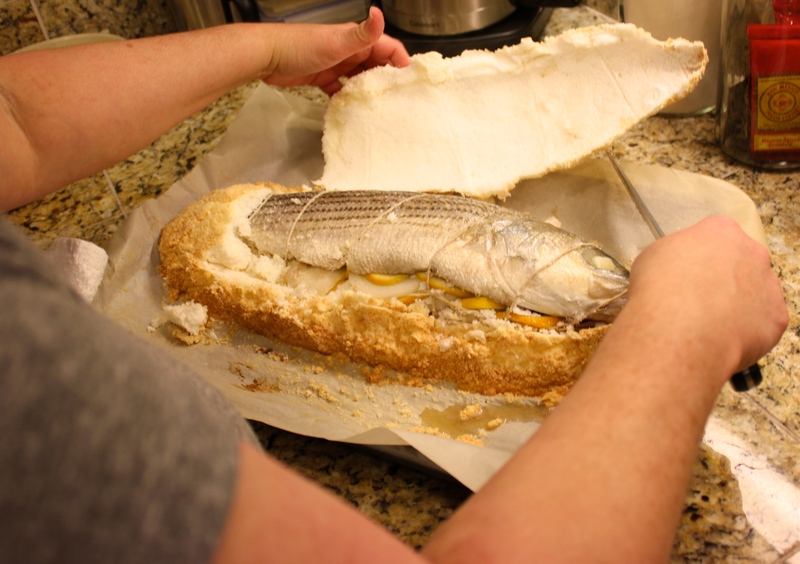 Place the salt crusted fish in the oven for about 40 minutes. Remove the fish and let rest for about 5 minutes. 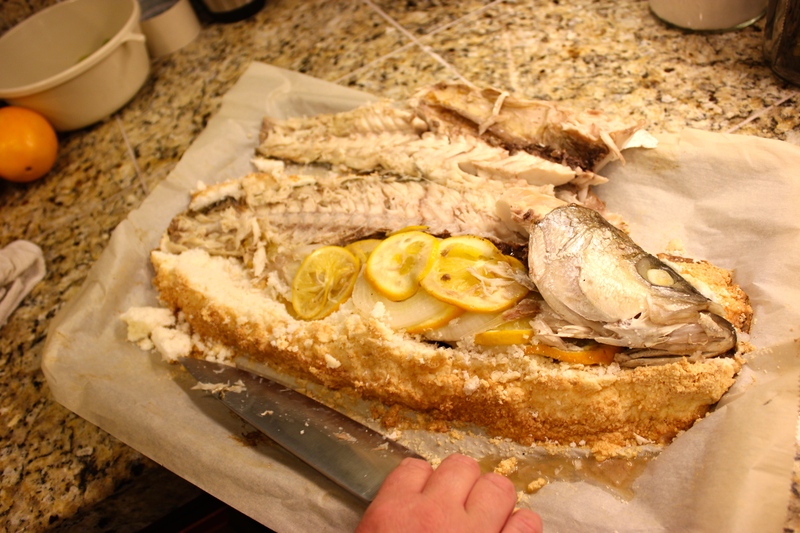 Carefully slice into the crust with a large chef’s knife, being careful not to cut into the fish. 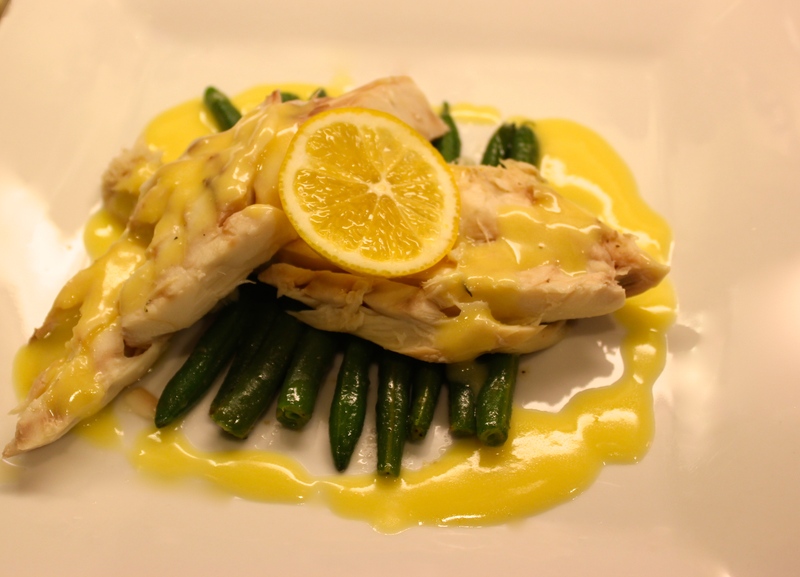 Prepare the hollandaise while the fish is baking. Have the egg yolks at room temperature one hour before making the hollandaise. Pour the orange juice, lemon juice, and thyme sprigs into a medium sized sauce pot. Begin at a medium simmer for 2 minutes until the juice is reduced by half. Turn down the heat to low and begin adding the butter, a tablespoon at a time while whisking over low heat (if the heat is too high, the sauce will "break" and be unusable). Once all the butter has been whisked into the sauce, remove the thyme sprigs and discard. Very slowly pour the warm butter, while whisking constantly, into the egg yolks (if the butter is too hot the eggs will scramble). Once the eggs have been tempered, pour everything back into the sauce pot and continue to stir for about 2 minutes over low heat until the hollandaise is thick and the egg is cooked. Season with white pepper and a touch of salt (not too much). Serve with salt baked fish.